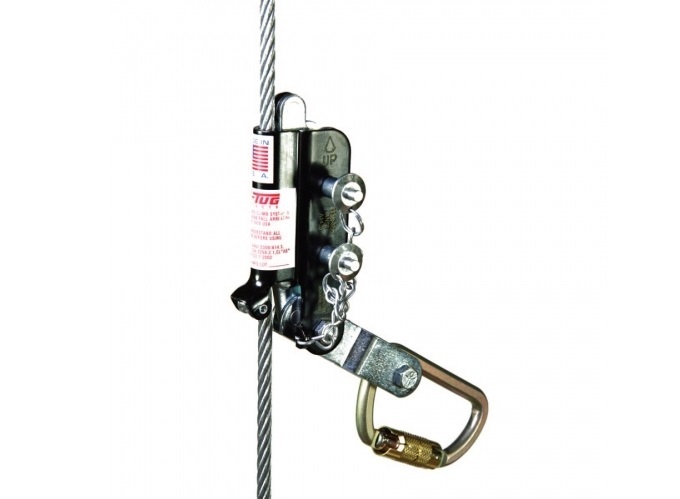 This Cable Grab is incredibly simple to install onto any 3/8 inch thick vertical cable (5/16 inch version available), and is designed to lock automatically the moment a fall occurs. Simply squeeze the Cable Grab to reposition, and release to lock the device. The Cable Grab may be attached to with any compatible 18 inch extension lanyard.